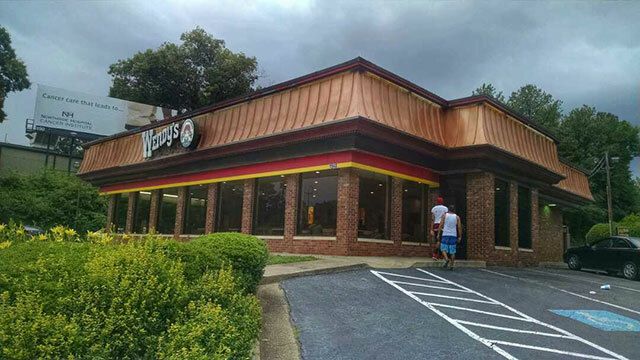 ATLANTA -- A woman left a note at an Atlanta Wendy's restaurant claiming to be held against her will, reports CBS affiliate WGCL. A spokesperson with Atlanta police said the woman walked into the restaurant at 11:43 a.m. Monday, asked for a blank piece of paper and wrote that she was being held against her will and asked for help, according to the police spokesperson. According to the store clerk, the woman also talked to a family while inside the restaurant. The police spokesperson said the woman then walked out of the restaurant voluntarily and left in a pickup truck. The woman is described as wearing a blue shirt and blue jeans. The police spokesperson said there was a man in the pickup truck with the woman. He is described as having long hair and wearing a green shirt. Neither the woman nor man have been identified at this point. The pickup truck was a white 1997 Ford Ranger with Georgia tag AZR1028, according to the police spokesperson. The tag is registered to an address in Rockdale County. Anyone with information is asked to call Atlanta police at 404-546-5498.